As an artist, you should be reaping the rewards for your hard work, and regardless of what genre of music you make, you should not be giving your music away for FREE. That doesn’t mean you have to necessarily sell it, but exchanging a download for an email can be just as valuable in the long run. So we’ve compiled a list of the best websites to host your music on – which allow you to do just that. 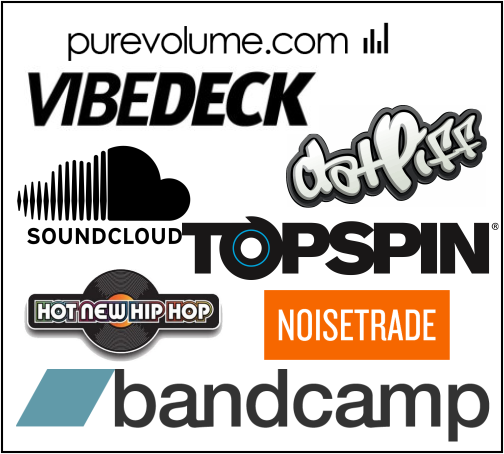 Excluded from this list would be sites such as Itunes, Google play store, Tune Core, CD Baby, Soundcloud, HNHH, Datpiff and PureVolume. The reason being is that you either get NO fan contact information or you get one hell of a commission taken out of your sales. So unless you’re up there in popularity with the likes of Adele, or Rihanna, and know your music will go viral on its own, you should undoubtedly be using one of these sites to distribute your music and strategically grow your fan-base. Pros: What makes NoiseTrade so great is that there are NO, I repeat, N-O download limits which are common with most music hosting platforms of this caliber. In addition to that, instead of just giving your music away for free, your supporters have the option of tipping you. So if your music is worth anything to them you can expect maybe a little more than what you’re used to. Not to mention it’s free to use! They do take 20% of any tip you receive but that’s nothing compared to what you get in return. Cons: Unfortunately, NoiseTrade doesn’t track the number of plays each track gets. Our Thoughts – NoiseTrade is AWESOME! You’ll love it! Try it, and see for yourself. Although, we’ll never use it because we’re not in the business of getting tipped. No ceiling! Topspin is a professional-grade software tool for any level of artist, from the amateur punk band I rocked in high school to former Beatles! Cons: Obviously nothing is free, but there is nothing wrong with frowning upon a company for charging us fees to use their service – $10.00 a month, 15% of merchandise sales, and standard Paypal credit card processing fees. Free account limits the number of fans and plays your profile can receive each month. Our Thoughts: Did you read all those features? Topspin is a definitely a power-house in direct-2-fan music distribution, which is why a lot of the heavy-weights use it. Of course like most, there is limits to it being everything you could ever hope for as a band, which is why it’s not at the top of our list. However the ability to sell tickets AND possibly get your music on an MTV show is pretty friggin’ awesome. Pros: 200 download credits. Free basic account. Cons: 15% Revenue sharing. Tacky design. 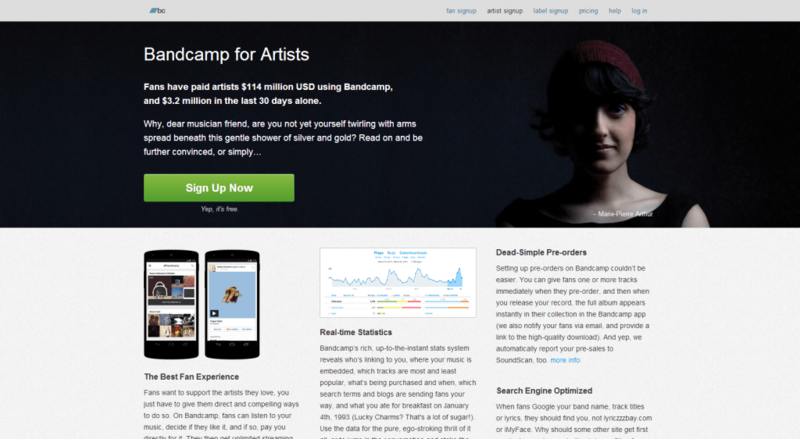 Our Thoughts: Well if you’re reading this you probably know that everyone and their Momma’ uses Bandcamp. It definitely serves it’s purpose very well, but the interface isn’t as snazzy as others on this list. It also doesn’t offer as many of the features as others do. I think bands just use it because, like we said, everyone and their momma’ uses it. Chances are it was probably the first of it’s kind which gives it so much popularity. Pros: Clean design. Social sharing. It’s FREE. No download limit. Cons: Only utilizes Twitter and Soundcloud. Our Thoughts: StereoLoad is a pretty new platform as far as we know. While it doesn’t allow you to grow an email list, it does offer the ability to grow your social media followers which at the end of the day, is still better than giving your music away completely free. With it being a free service, there’s really no downside to using it. The cool thing about it is that if you make really good music and know how to market it correctly, SteroLoad can help you gain a significant amount of new followers on Twitter and SoundCloud. Cons: limited social & streaming platforms, marginally high monthly cost if you’re not making an ROI. 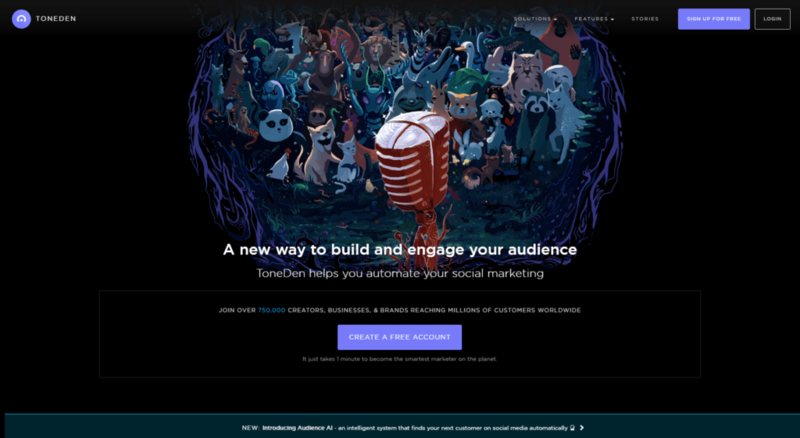 Our Thoughts: ToneDen is a true gem for artists who have the means to invest in their careers. 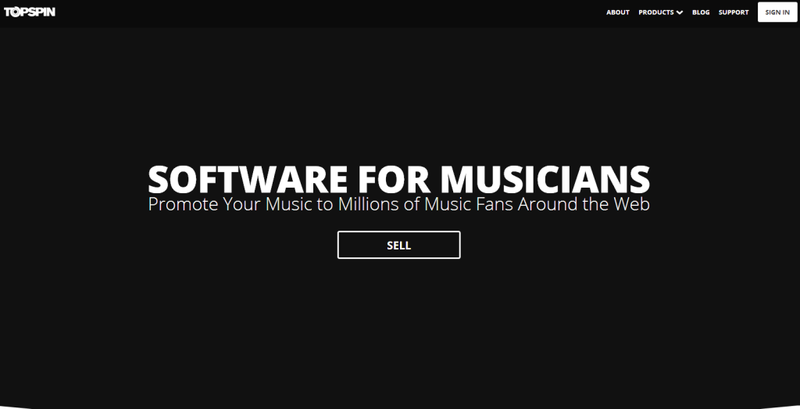 It provides a simple to use platform for acquiring, engaging and activating new fans. The fact that it acts as not only an advertising platform but a “lead capture” platform as well is why we decided to include it in the article. In conclusion, if you’re serious about making a living doing what you love, you need to focus on growing your fan base, because in the future those numbers will need to convert to dollars. Anyone of these sites can definitely help you do that by capturing a simple email. I don’t know about you but most people check their email very often and are much more likely to hit play on a track that is sent directly to them via email compared to hitting play on the social media posts. you tag them in. If there’s any other notable music hosting sites you think we missed and should add, please feel free to comment below. Make sure you like our Facebook page for valuable updates! Wow,what a blessing to this generation to share ideas on how we can do better with promoting our music.